March YES Student of the Month Mahmoud Elbeh, placed by Aspect in Colorado, is a young man who gives 150 percent to every endeavor. “He is a great leader and example of the best possible exchange student. He tries to be humble about it, but always rises to the top,” said his local coordinator, Susan Erker. Mahmoud was already an accomplished athlete when he came to America. He won silver medals in the duathlon in four international competitions and, at 16, became the youngest Egyptian to complete a marathon. 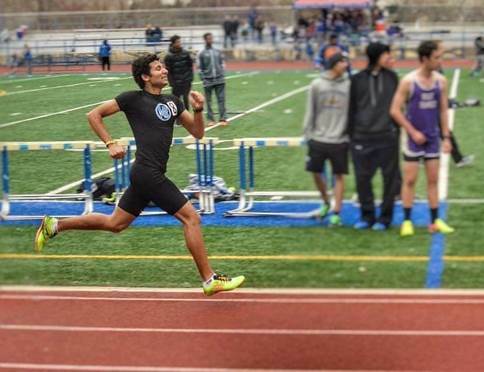 When he arrived at Mountain Range High School, Mahmoud joined the cross country and track teams, where he broke the 1500m and 3000m indoor track records. He was named most valuable runner of his cross country team, and received an academic all-state honorable mention and a varsity athletic award. In a completely different vein, Mahmoud competed in the DECA (Distributive Education Clubs of America) marketing competition and advanced to the state-level competition in Colorado Springs. Mahmoud also participated in the Workshop for Youth Leaders in English Teaching (WYLET) in Washington, DC. In addition, the YES student from Egypt is developing into a talented photographer. He received an honorable mention from a scholastic art competition in March for his photography. Mahmoud has completed over 100 community service hours, with a variety of volunteer projects at school, the local church, and elsewhere.